I made it! 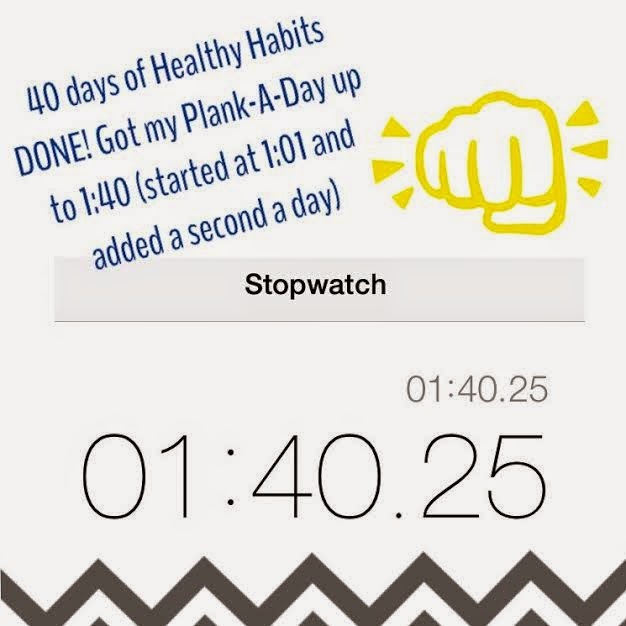 40 days of my Healthy Habits! In case you missed my original post, I decided I would ADD and SUBTRACT a couple habits for the Lent season (I am not Catholic, but figured it was as good a time as any to try some lifestyle changes). 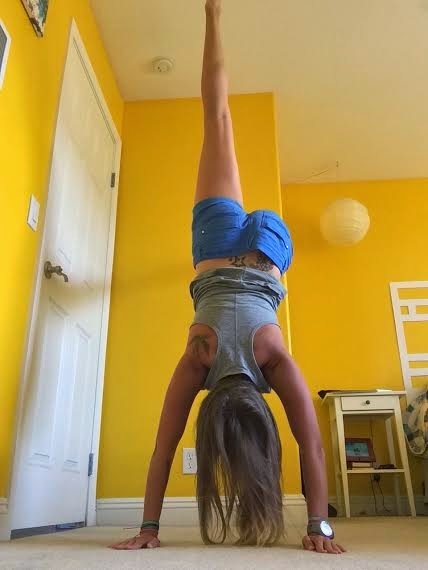 I ADDED flossing, a plank-a-day (increasing in one second increments every day from 1:01 to 1:40), and working on my handstand. I SUBTRACTED sweets and media after 8pm on work nights (phone and computer curfew on the nights I worked the following morning). I need to be honest, I accidentally slipped ONCE... Ryan and I went to get Mexican a couple weeks back. On our way out he grabbed me a sucker like he normally does. Without thinking about it I put it in my mouth. About 30 seconds later, as I was just getting ready to say how tasty it was, I realized it was a sweet and spit it out! Other than that one incident I think I held true to everything daily. Although I don't eat a lot of sweets, I think removing sweets was the hardest of the things I changed. Thankfully my fiber chewies seemed to curb my sweet tooth when I took my vitamins after dinner. I still can't do a handstand, but I did attempt them every day. I watched a couple YouTube videos showing me some tips. I would start with a downward dog with my feet against the wall and then walk them up. One at a time I would take a foot off the wall and hold it (at least I got the feeling of doing a handstand). I would also put my head and shoulders on the wall and try to kick my legs up. Neither have been successful in making me a gymnast, but at least I gave it a go for 40 days. 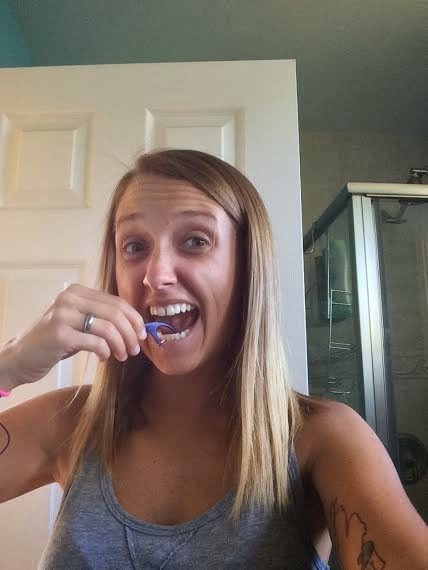 I think the only habit that will stick around is the flossing. 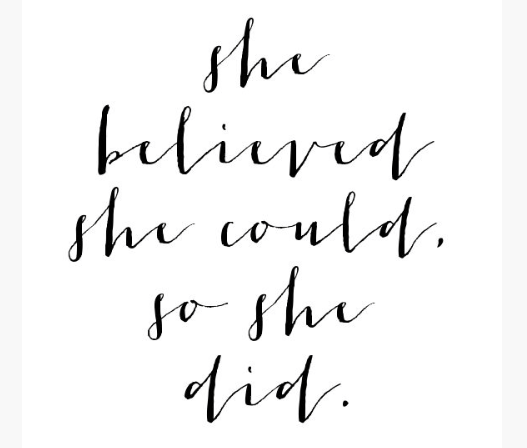 I "try" to do it daily anyway, but this was a way to get me back to EVERY day. Hopefully I remember to do it now that Lent is over. I am sure my dentist will be happy about this one too (although I never really have any teeth issues). 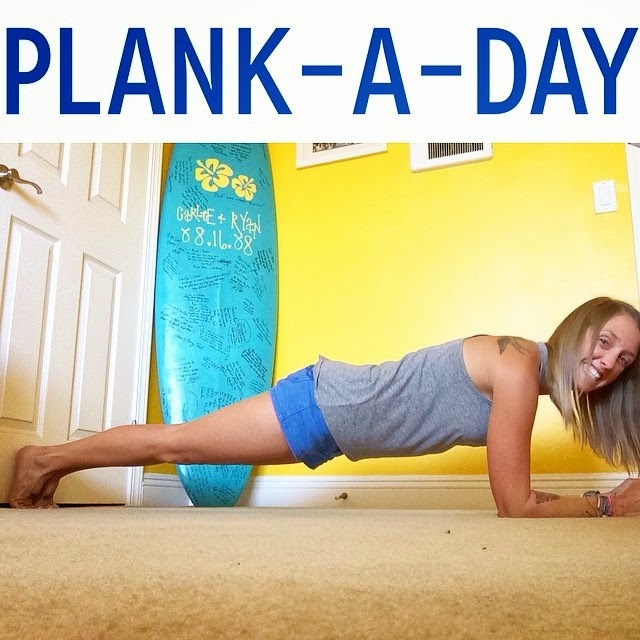 Obviously I know I can always have more core strength, so planks are a quick and easy way to work on it. I will probably do another Plank Challenge soon, but for now I think I will take a break on the daily option. I did like the electronic curfew. I have always heard that you should try and shut down your electronics at least 15-30 minutes before you go to bed to help with sleep (the light and stimulation tend to keep your eyes and mind going, going, going). I found that with my 8pm curfew I would end up going to bed close to 8:30pm so it sort of forced me to get more sleep at the same time. I think I will try to continue to refrain from using the phone or computer in bed, but probably won't be as strict with the time cut-off. 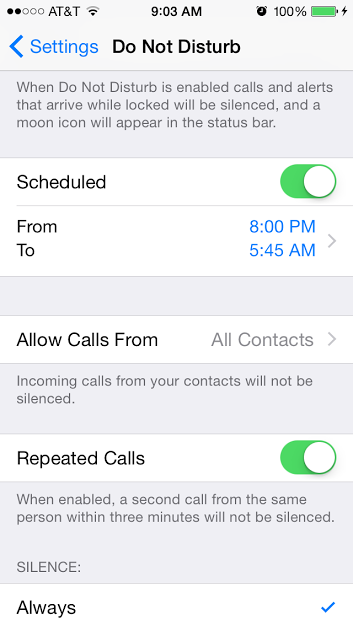 I found turning my phone to "Do Not Disturb" from 8pm-5:45am helped. If I didn't notice my phone lighting up with a notification I was less tempted to grab it and then continue playing on it. I think I will continue to keep that schedule on my phone for now. Did you give up or add anything for the Lent season? If so, how did it go? If not, what would be something you would like to change (even if it was only for a 40 day period)? I gave up ttea for Lent. Tough for this southern gal but I am going strong! I need to work on my core strength in a bad way. Maybe we should co-host a PC Ambassador planking challenge? Or handstand challenge? Thoughts? I like the idea of adding and subtracting things, that makes it a good balance! I am trying to eat less sweets and get my sugary sweet fix from things like fruit or smoothies! I'm not Catholic, so I didn't give anything up for Lent. I even ate meat on Fridays (sorry not sorry). In general, I would like to continue getting 10,000 steps (if not more) most days. This helps me to stay active while allowing for those "off days." I also plan on cutting out sweets during the week. Hey, some weekends just call for fro-yo or a cake pop!